Summer brings with it so many beautiful creations of nature. Loads of fruits and flowers, trees filled with tender leaves and everything around so fresh and colourful. The nature’s creation is so marvelous. 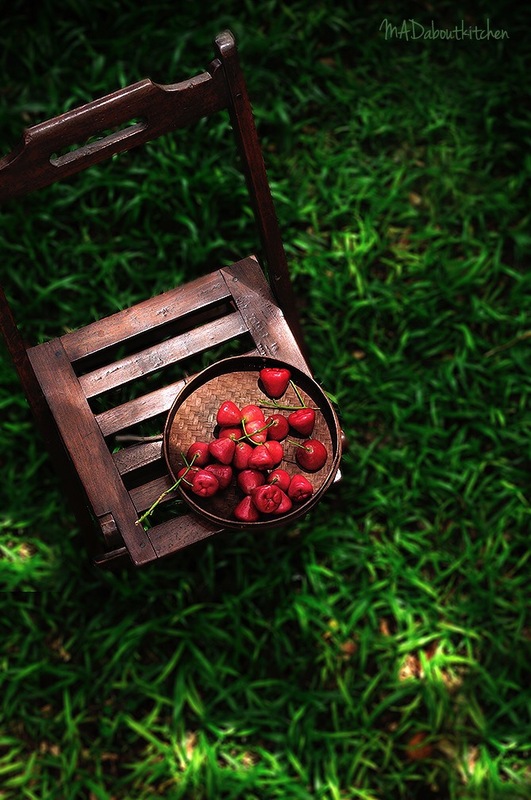 The fruits that we get in summer are so high in water content to quench the thirst. Oranges, Watermelon, Toddy palm, Rose apples and many more. The other day in the market found these beautiful, juicy and delicious Rose apples. Aren’t they just beautiful? I havenever tried making anything with it though. We just eat it as is..
Rose apples are juicy, light and is very mildly scented. Comes in two colours, white and red. Both taste similar with red being slightly sweeter. Among all the summer fruits, Watermelon is a must buy every alternate day in our house. Most of the days we have only watermelon for dinner. Come Summer and all that we crave for is something cold. We have it everyday in one form or the other. 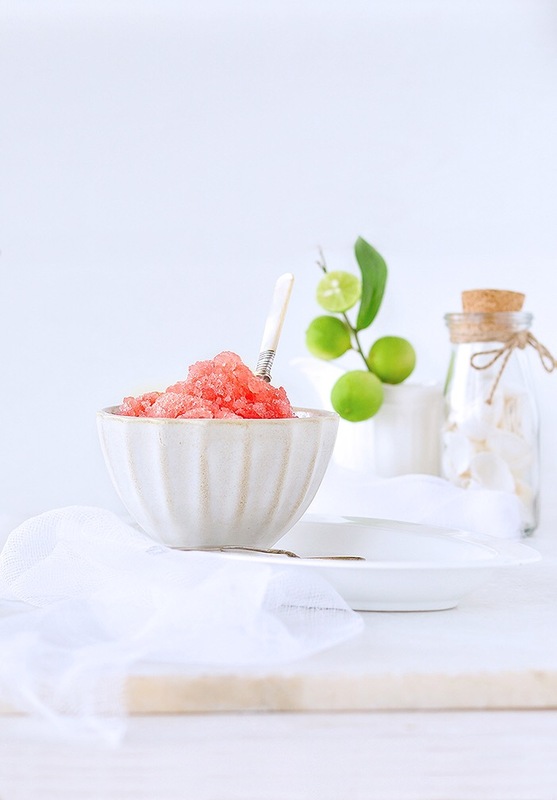 Watermelon Granita, being one of those. 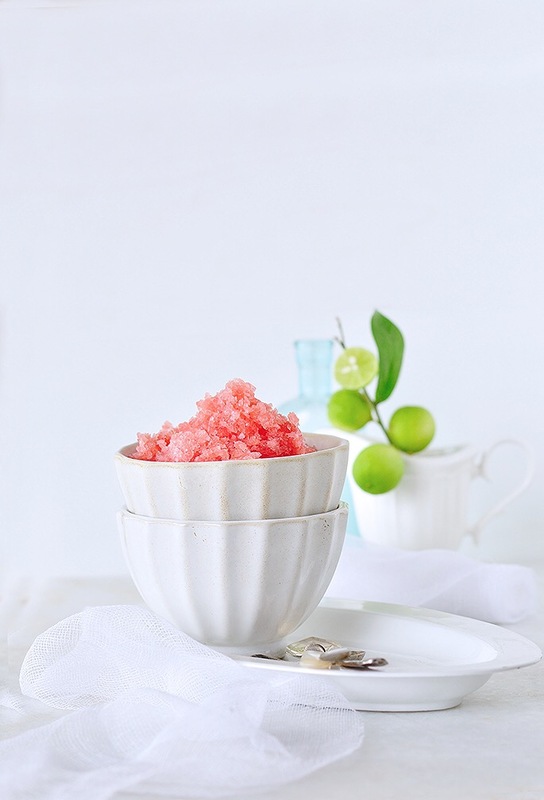 Snow like texture, light on tummy, easy to make and extremely refreshing. Take water and sugar in the saucepan and place it on a high flame. Stir till the sugar dissolves. Reduce the flame and boil it for 5 minutes. Let the syrup cool down completely. 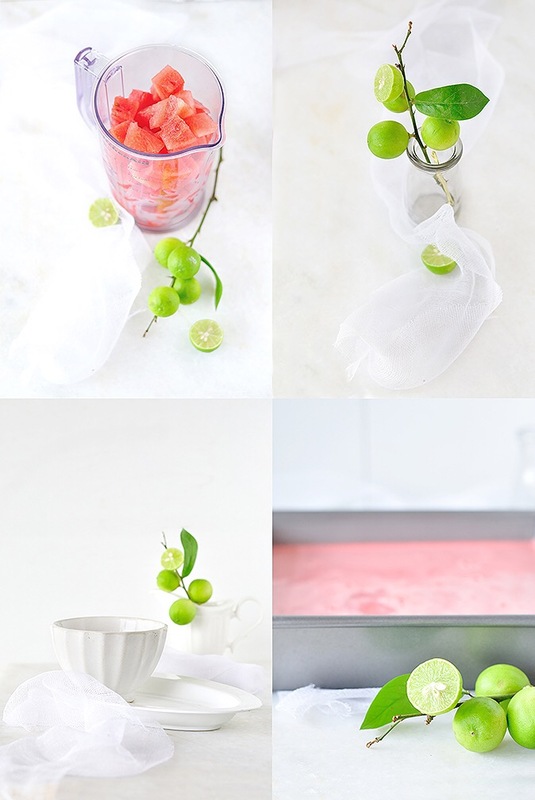 Blend watermelon cubes and lemon juice handblender till smooth. Seive this mixture into a jug to remove any seeds. Add sugar syrup and give it a good mix. Pour this mixture into a shallow pan and freeze it. Every half an hour give it a mix, pulling the crystalised part to the centre from the edges. Repeat this till the whole mixture is equally crystalised. Cover the pan with clingfilm and freeze overnight. Scrape it using a fork and serve them immediately. Once scraped you can use icream scoop to serve them as scoops.